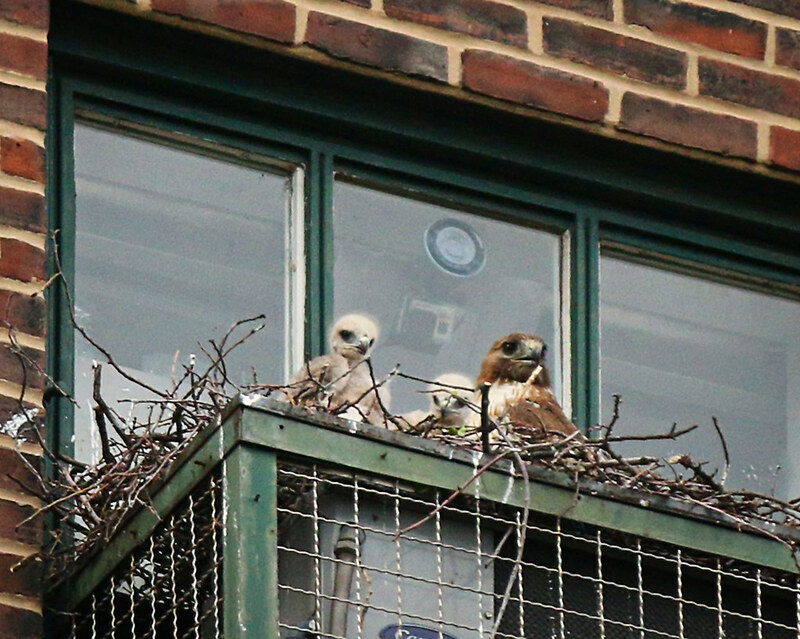 May 29 will mark the 3-week birthday for the first Tompkins Square hawk hatchling. 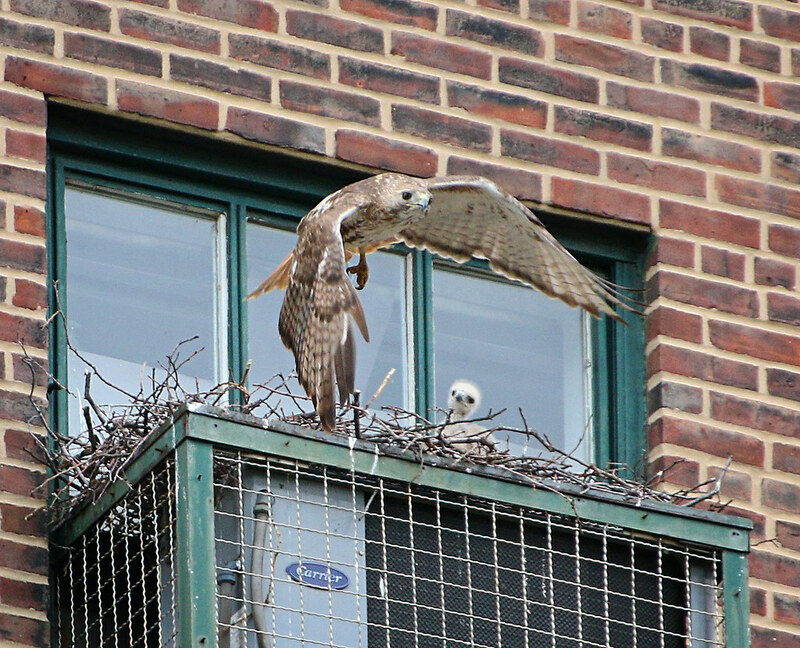 You can now easily see the older two from the street, while the third is just starting to poke its head above the edge of the nest. They're growing so fast, it seems they double in size every time I see them. Here are two of the kids last Saturday while mom Dora was out getting some exercise. Dad Christo stopped in briefly to drop off some lunch. By Sunday, they were already stretching their wings and showing the first signs of pinfeathers. 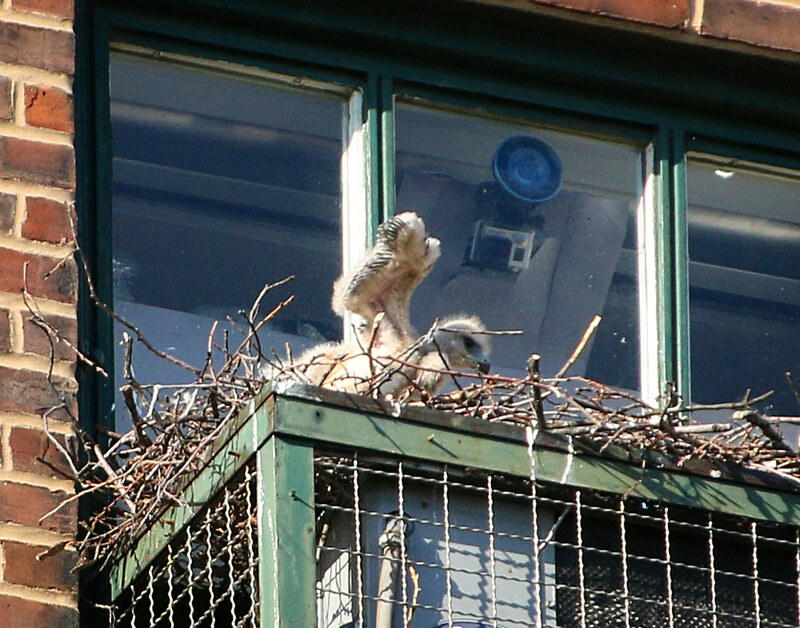 As they grow, Dora can spend more time out of the nest. I've worried about her over the last few weeks as we've had several storms. She's been a dedicated mom, sheltering the chicks from rain, wind and hot sun. By Wednesday, the chicks were jumping up and down and flapping their wings. 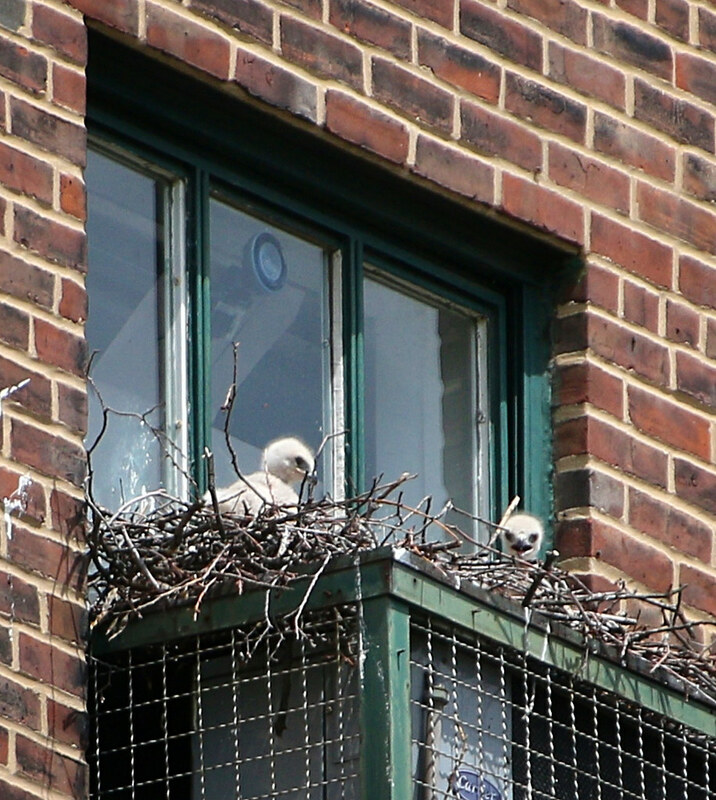 Check out the latest photos and video from the Nest Cam at Fotoportmann. 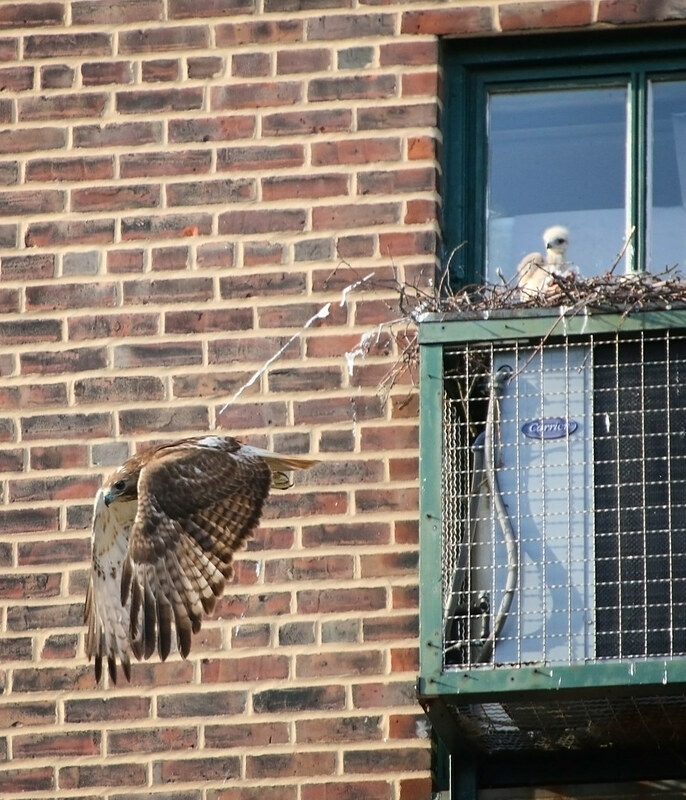 Our friend Francois and his TSP hawk video was also featured this week in the NY Post. 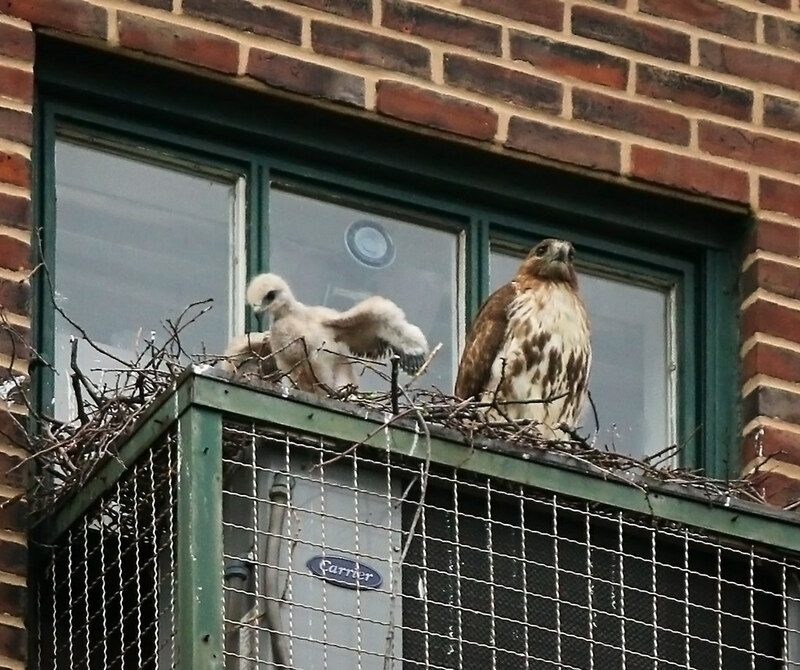 In other hawk news, don't miss the latest adventures of Rosie and Bobby of Washington Square. 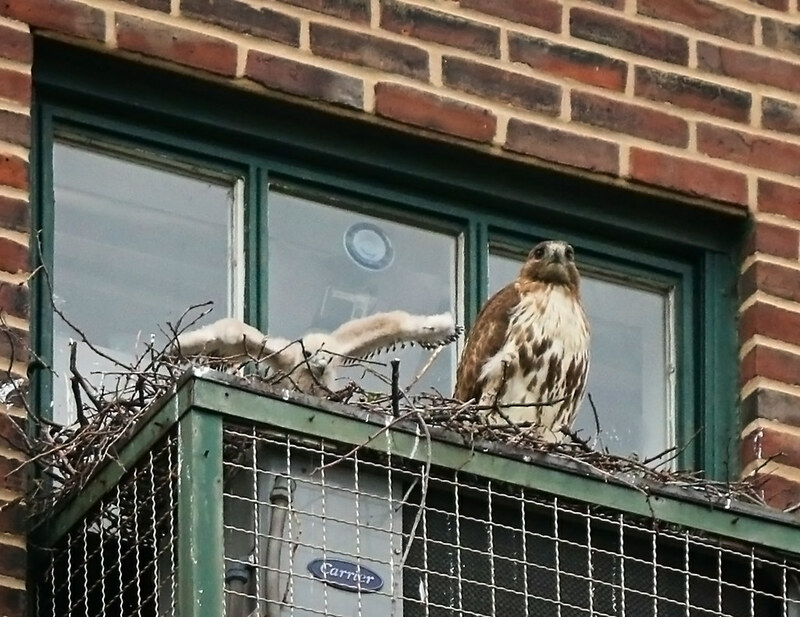 And, Urban Hawks keeps tabs on all there is to know about hawks in NYC. 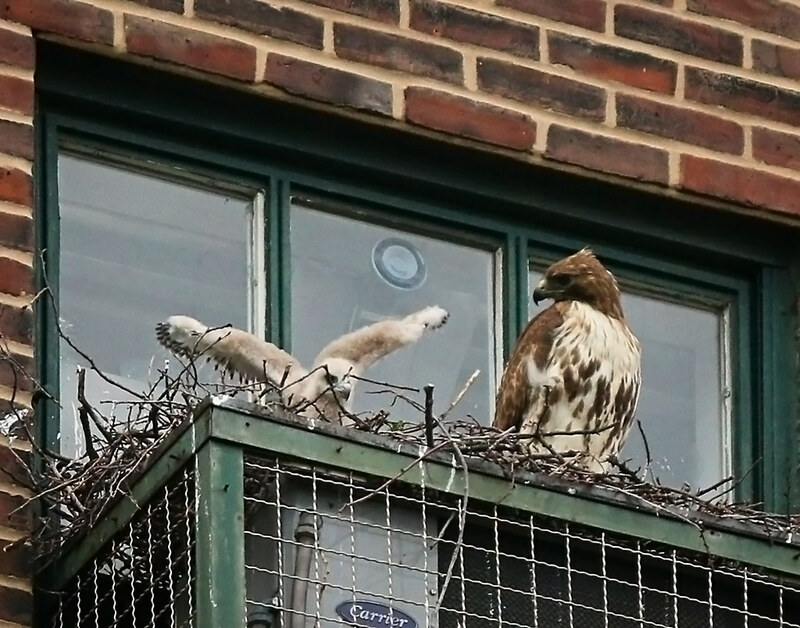 See more TSP hawk photos on my Flickr page here and here. It is Rosie & Bobby of Washington Sq Park. Thanks for you updates and photos. Ah, thanks - that's what I get for posting before bed. I've made the update. Any concern that the fledglings will fall on their first attempts to fly? They are up so high. I worry. Thanks for your glorious work! I guess there's always concern for a bird's first flight, but I have to trust the parents know what they're doing. There are a few nearby rooftops as well as trees in the park, so they have a few places to land safely. We'll find out soon!